Miami-Dade County teachers protest outside the school board office in downtown Miami earlier this month. Teachers in Florida are among the lowest-paid in the nation. Unions’ right to collectively bargain for their members has been enshrined in the state constitution since 1968 and state law since 1974. The legislation followed a massive teacher walkout in 1968 — the first statewide teacher strike in U.S. history. But lawmakers put new restrictions on collective bargaining in this year’s controversial House Bill 7055 — affecting only teachers’ unions. The law says if at least half of eligible teachers aren't dues-paying members of a union, the group could lose its state certification. 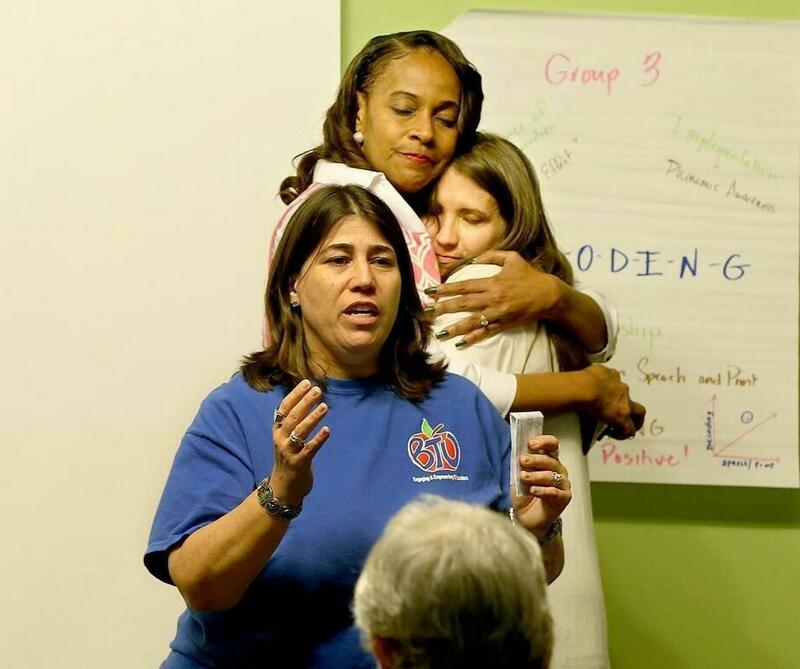 South Florida teachers’ union presidents argue the law is unconstitutional. 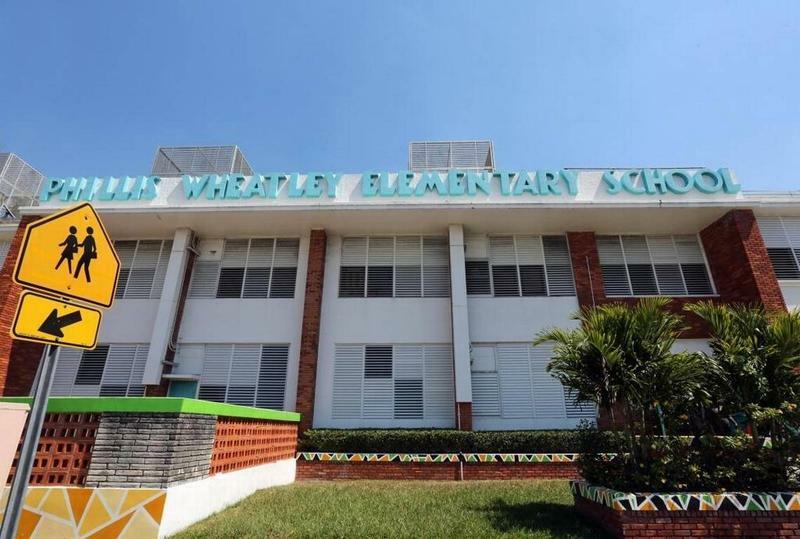 “There is this discriminatory aspect, … but also just the plain and simple fact that our constitution says we have the right to collectively bargain,” said Karla Hernandez-Mats, president of United Teachers of Dade (UTD), during an interview for WLRN’s The Sunshine Economy. Teachers’ union leaders also said the law unfairly targets women, since the education field is overwhelmingly female. Broward Teachers Union President Anna Fusco said she expects the statewide Florida Education Association to sue once the law goes into effect on July 1. Her group plans to participate. “It is definitely targeting a particular profession and a particular group,” Fusco said, referring to women. The law threatens the existence of unions that represent not only teachers but also other school employees in South Florida. All of the employees represented by UTD are grouped together, so while the union has more than half of teachers, it currently only represents about 49 percent of all of the eligible employees in the district. Hernandez-Mats said the union is aggressively working to recruit new members and she expects to be over the threshold before the law takes effect. In Broward, teachers and other employees are organized separately. Fusco said the union represents more than 65 percent of teachers. The other employee groups boast lower numbers but are in the clear with more than half of eligible workers for now, she said. Ninety percent of teachers in the Florida Keys belong to United Teachers of Monroe, president Holly Hummell-Gorman said. She said a separate group for education support professionals is “hovering around 50 percent” membership. Republican lawmakers who crafted the legislation portrayed unions as undemocratic and lacking transparency and argue this bill will hold unions more accountable to their leadership. "A minority leadership … is not a voice for the majority," House Education Committee Chair Michael Bileca told the Miami Herald, WLRN’s news partner. He is term-limited and represents a district that includes Palmetto Bay, Pinecrest and South Miami. Bileca, as well as House Speaker Richard Corcoran and Rep. Manny Diaz, Jr., declined requests from The Sunshine Economy for an interview. Diaz, a Hialeah Republican, chairs the House education budget committee and is running for state Senate in the upcoming elections. Florida is what’s known as a “right-to-work” state. That means union membership is not compulsory, and employees are represented by union contracts regardless of whether they pay dues. That makes it tougher for union leaders to convince workers it’s worth paying for representation. And that’s especially hard in a state where teachers are among the lowest-paid in the country. Union dues for teachers in Miami-Dade, Broward and Monroe counties are about $35 to $40 per pay period, which is every other week for 10 months. The groups don’t deduct dues in the summer. “Asking teachers to make a choice between supporting their families and securing their rights … it’s criminal,” Hernandez-Mats said. When Hummell-Gorman encounters teachers who say they can’t afford to join the union, “honestly, my answer to that is you can't afford not to,” she said. 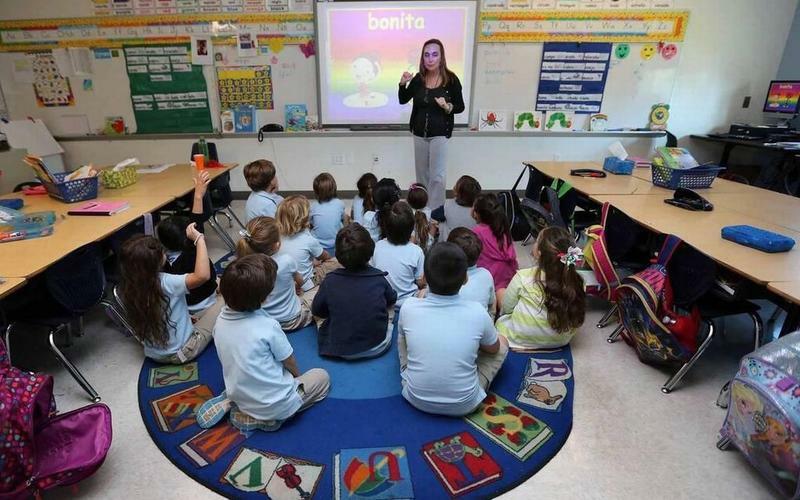 In Florida, that average teacher salary dropped by more than 6 percent over the last 18 years, when adjusted for inflation, according to the National Center for Education Statistics. That number is much lower nationwide — across the country, teachers are making about 1.6 percent less. Local union presidents blame the Legislature for that. “There's been nothing but cutbacks, cutbacks, cutbacks on the public education part,” Fusco said. The Legislature has provided increases in per-pupil funding for public school students in recent years. But unions have scoffed at lawmakers’ claims of “record” funding, arguing it’s lower than it was before the 2008 recession when considering inflation. Also, this year, lawmakers’ boost in school funding went largely to security and mental health care following the Feb. 14 shooting at Marjory Stoneman Douglas High School, rather than into the classroom. The union presidents dismissed the idea that their members’ low salaries are the result of poor negotiation on their part. ”It's certainly not [our] failure,” Hernandez-Mats said. 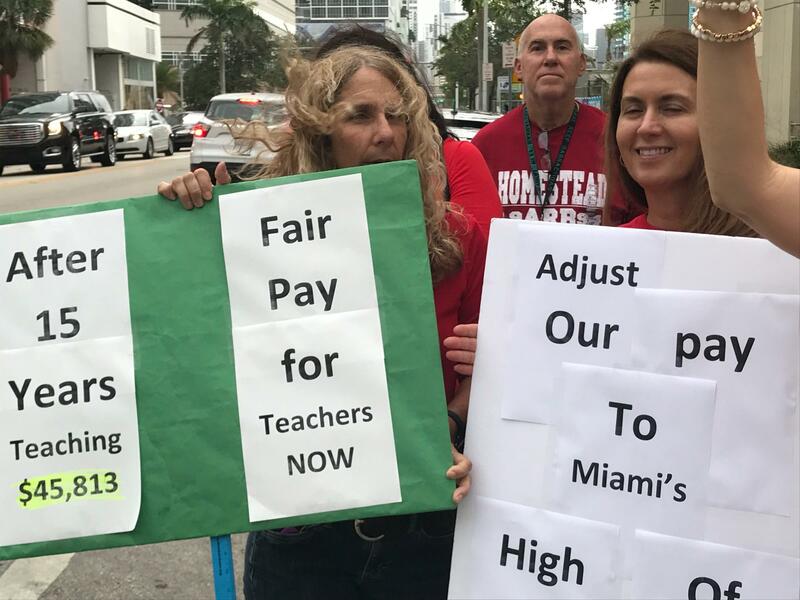 She and Fusco pointed out teachers in the Miami-Dade and Broward districts have gotten raises in recent years — just not as much as they’d hoped for. WILL TEACHER STRIKES REACH FLORIDA? Teachers in Florida have a lot of the same complaints as their counterparts in states like Arizona, Oklahoma and West Virginia — where they have been strikes in recent months. But teachers’ union presidents here are hoping that won’t happen. Under Florida state law, striking teachers could be fired and their unions could get slapped with heavy fines or lose their certifications. Union leaders say teachers would also be putting their certifications and pensions at risk if they walked out. Anna Fusco, president of the Broward Teachers Union, speaks at an event held in the wake of the Marjory Stoneman Douglas High shooting. Fusco said the strikes in other states have proven successful, and she wishes teachers here could take that action. “If we had an opportunity, we all would be on board with it, and you would see the whole state of Florida — every single teacher … doing it,” Fusco said. But she said unions are “absolutely not” encouraging their teachers to strike.